Andrew, I was really having fun controlling the pick and roll with IT. In 2K, he has the ability to burn switching players off the screen, which he was my top scorer. As you mentioned, I think the frequency is more or less where it needs to be to keep the game interesting, just the severity needs to be tuned. 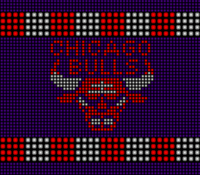 cavs4872, most teams have one or two injuries. From memory, the most notable was Kawhi Leonard and I think Trevor Ariza was done for the season. Phil89, it's fun to have my roster's depth tested and the Nuggets are stacked with young talent. 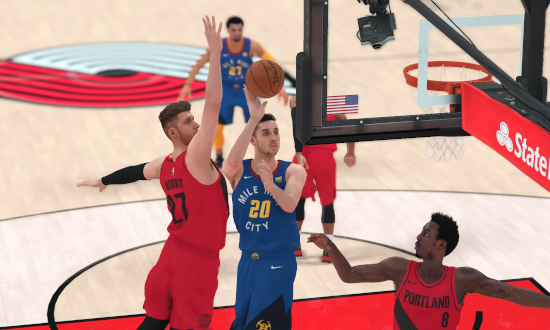 I'm pretty much trying to use Jokic the same way I used Borislav Perko in NBA Live 10, so hopefully, I can rack up the triple-doubles with him. There was a lot of talent on the sidelines for the Nuggets during this stretch – Isaiah Thomas, Gary Harris, Michael Porter Jr and Jamal Murray. All the sudden players like Monte Morris, Torrey Craig and Jarred Vanderbilt were getting the most significant minutes of their young careers. The results were mixed, to say the least. The short-handed Nuggets team was able to come away with a miraculous win in Minnesota, thanks to an amazing shot from Nikola Jokic. The star centre ended the game with 24 points, 11 rebounds and 4 assists. Paul Millsap was the top-scorer for Denver with 33 points off 14-22 from the field. Will Barton and Torrey Craig scored 13 each, while Monte Morris had 12 points and 4 assists on the night. For the Timberwolves, Karl-Anthony Towns (23 points, 11 rebounds) and Jimmy Butler (22 points) led the way, with Jeff Teague (17 points, 8 assists), Andrew Wiggins (14 points) and Derrick Rose (11 points) all scoring in double figures. 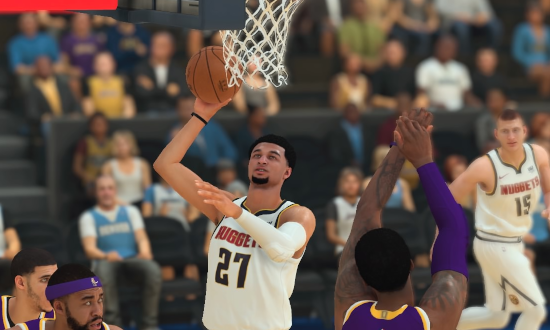 The Timberwolves were in the driver’s seat at the beginning of the 4th quarter, but the Nuggets were able to come back to win the final period 45-30. The Nuggets were unable to overcome a slow start against the Magic at the Pepsi Center. Orlando jumped out to a 15-point lead at half-time and managed to keep the game on relatively even terms in the second half. Former Nuggets player Evan Fournier (23 points, 6 rebounds, 4 assists) and Jerian Grant (22 points, 6 assists) led the away team, while Aaron Gordon (13 points, 5 rebounds, 5 steals), D.J. Augustin (12 points) and Nikola Vucevic (10 points, 6 rebounds) were also influential in the win. Denver had to rely on a career-best game from Torrey Craig to stay in the contest. Craig ended up with 22 points and 6 rebounds on the night. Paul Millsap (17 points, 5 rebounds) and Nikola Jokic (13 points, 9 rebounds, 6 assists) both had solid games but were ultimately unable to carry the Nuggets past an energetic Magic team. Things went from bad to worse for the Nuggets in their loss to the Thunder. Paul George led the scoring with 31 points, but again it was Russell Westbrook’s all-round play that led Oklahoma City to the win. The former MVP tallied 19 points, 11 rebounds and 8 assists on the night. Steven Adams also played a huge role in the win, registering his double-double with 12 points and 14 rebounds. 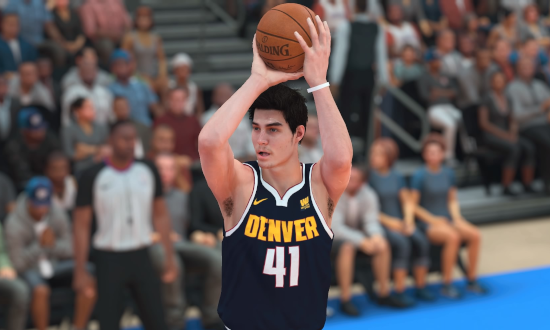 Once again, the Nuggets relied on a benchwarmer to lead the way in scoring, as Juancho Hernangomez ended up with 18 points. Nikola Jokic (17 points, 6 rebounds) and Paul Millsap (10 points, 4 rebounds) both scored in double figures, but the Thunder frontcourt limited their impact. While offence is usually a strength of the Nuggets, it ended up being their major downfall in this game, as they went 41% from the field on the night. To add to their shooting woes, they also gave the ball away 17 times – as opposed to just 6 turnovers from the Thunder – and were comprehensively beaten on the boards 59-41. Jamal Murray’s comeback from injury wasn’t enough to stop the Nuggets current slide. Murray led the way with 25 points and 11 assists but was also responsible for 8 turnovers. Paul Millsap (17 points, 8 rebounds) proved to be fairly reliable, while Will Barton and Trey Lyles upped their production, scoring 15 points each. Nikola Jokic tallied 14 points and 5 rebounds on the night. As for the Lakers - you guessed it – LeBron James. The King was unstoppable, stuffing the stat sheet with 46 points, 9 rebounds, 6 assists, 1 steal and 1 block. Sophomores Kyle Kuzma (17 points, 4 rebounds) and Lonzo Ball (16 points, 6 rebounds, 9 assists, 4 steals) followed suit, while Lance Stephenson and Kentavious Caldwell-Pope scored 11 and 10 respectively. The game was far more competitive than the final score would lead you to believe, with the Nuggets only trailing by 8 points going into the 4th quarter. But as so often is the case, the team with LeBron James ended up getting away with the W.
The Nuggets finally halted their losing streak in Portland, thanks to an amazing game by - you guessed it - Tyler Lydon. The second-year player out of Syracuse had the best game of his young career so far, leading the way with 26 points, 6 rebounds, 3 assists and a block. However, if we’re being really honest, Nikola Jokic was probably the most influential player for the Nuggets. 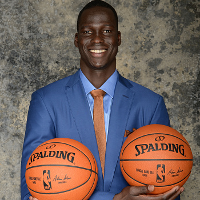 The Joker only scored 10 points but managed to register another triple-double for the season, with 12 rebounds and 14 assists. Jamal Murray once again proved to be a welcome addition to the line-up, as he ended up with his second straight double-double with 23 points and 10 assists. Will Barton (17 points) and Monte Morris (14 points) also provided some offensive spark from the guard positions, while Mason Plumlee (12 points, 7 rebounds) was solid off the bench. For the Blazers, they lived and died off the production of their star guards, Damian Lillard (36 points) and C.J. McCollum (26 points, 7 assists). They combined to hit 8 of 24 from beyond the arc. Outside of Lillard and McCollum? Meyers Leonard and Nik Stauskas were the only other player in double figures, with 10 points each. 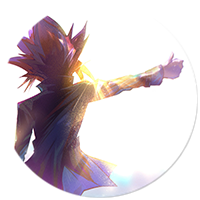 A few of you may have noticed that I haven’t been active the last month or so. Along with work, I’ve been planning my fourth trip to America, and that’s where I am right now. I’ve played ahead through about half of the December schedule, but I don’t have the stats with me, so this will be the cut-off until about late November or early December. 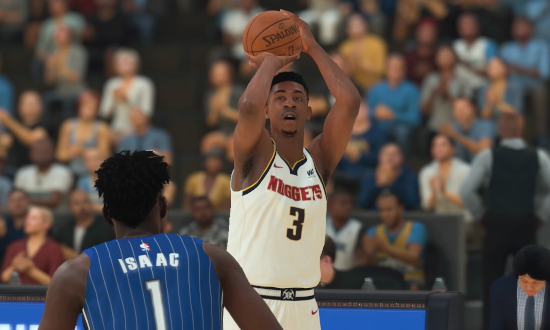 As it stands, I might have an opportunity to see the Denver Nuggets in real life, so I might post some pictures from that if it comes to fruition. 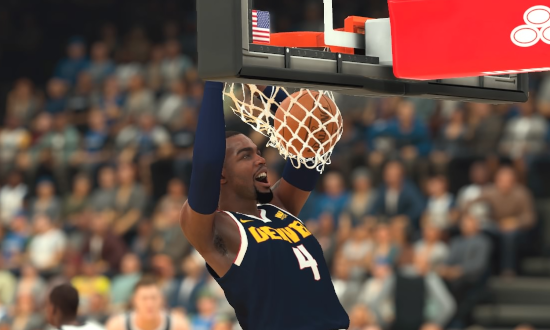 As many of you who read my original Denver Nuggets story from NBA Live 10 would know, I love having entire months (and in one instance, a full season) of teams wearing retro uniforms. So, I’ve decided to do it again in December 2018. Despite the injury bug, stuff like that is kinda good for storytelling, so it's all good. Joker is Perko Jr. (or is it the other way around? ); just switch a couple letters around. Man those were some tough losses. The team is underachieving And the East looks better than the West in terms of record, if you ask me. Coming to USA? Have a great trip. Of course, post pics if you catch a NBA game. Enjoy your trip! As always, I'm a little jealous that you'll get an opportunity to catch an NBA game live.